Four clans have been at war for centuries: the Kodiak, the Raven, the Wolf and the Ram. Through brutal war tactics, the Ram have dominated the region, inflicting death and destruction on their neighbors. 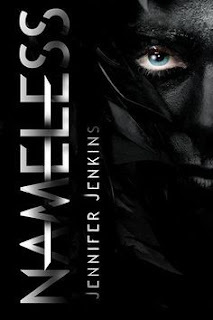 Check back on my blog later today for a reveal of Chapter 2 of NAMELESS! I really liked this one. I thought the first 20% or so was a little slow considering we were thrown right into the fray of things without much explanation, but it definitely picked up good pace. I really liked Zo. I thought she was a great heroine. I liked that she was willing to be the martyr for the greater good. I also liked her dynamic with her sister, Tess. I think it is one relationship that could still grow into something more developed but I thought what they have right now is solid. I think it was great that Zo cared so much about Tess while also realizing that Zo was only thinking about herself by entering into the Gate. Gryphon is like ultimate book boyfriend, tbh. I don't even know how to use words to describe how much I love him. He tries so hard to be the best for his clan, but also wants to do right in the world. I am a little weary about his temper and how he uses physical force as an outlet, but I'm still so chill with him. He worked so hard for everything he has but he realizes that it means nothing if he isn't doing what is best. And I just like love him so much for that?? HE IS JUST PERFECT, OKAY. The romance was great because it was slow burn. I liked that both Zo and Gryphon admitted to themselves that their relationship was going to be hard because they are from warring tribes. But like I AM ROOTING FOR THEM. SO HARD. MY PRECIOUS BABIES. I thought one thing that needed a bit more for me was the world building. The foundation was there but I felt like there was some information I was missing. But what I enjoyed was that there wasn't info-dumping. Everything came out naturally as we went along with the story, which made it a really great read. 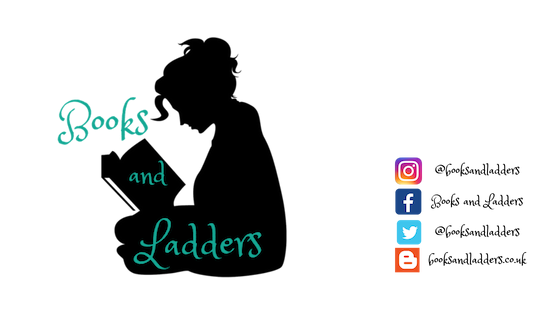 I have some ~theories~ about things to come but I don't want to spoil the book so I am just going to zip my lip. I would highly recommend this one if you liked the movie 300 or if you like ancient history in general because there are so many parallels that I just loved reading (since I have a minor in Classical Studies). This is one of those books that everyone is going to be talking about, so get in on the conversation. Plus if you are doing #YASH, you can get a clan tattoo from Jennifer if you go to her exclusive content post! (I emailed her and was super embarrassing but hopefully she sends me my Wolf clan tattoo anyway because ZO IS SUCH A PEACH) And I give it 4/5 stars. I just thought the pacing could have been a little better at the beginning but otherwise it was perfect.